For the next few blog posts I want to talk about baby wearing. 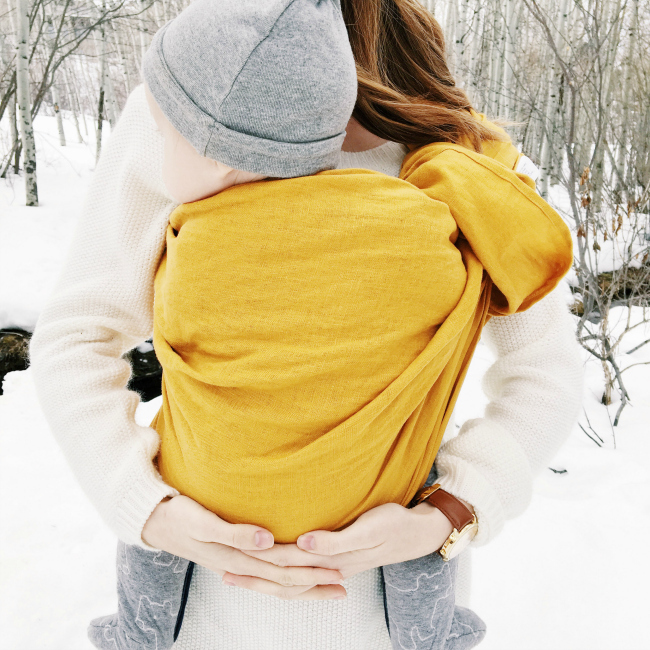 Baby wearing in general is a major mama must have. At least according to this mom and babe. Hudson absolutely LOVES being worn and it is an easy way for us to get things done around the house, run errands or go on adventures! For me wearing him is so much easier and way more fun than putting him in a stroller. He is close to me, can see the world around him and can easily fall asleep for a nice cozy long nap. AND if you are feeling really adventurous, you can learn how to nurse in a sling or wrap or carrier of any kind. Hands free nursing while on the go will seriously save you, especially in the early days when baby needs to nurse more often. This carrier specifically is a ring sling. We just recently started using this one and absolutely love it. Besides the amazing colour, it is so convenient. You can thread your sling one time and just leave it threaded which means all you have to do is slip it on, put baby in and adjust. SO easy and fast! Then off you go on all the adventures your little hearts desire! I cannot wait for the weather to be warm so we can adventure outside with our carriers every day! Although, apparently Hudson loves the snow so theres that. 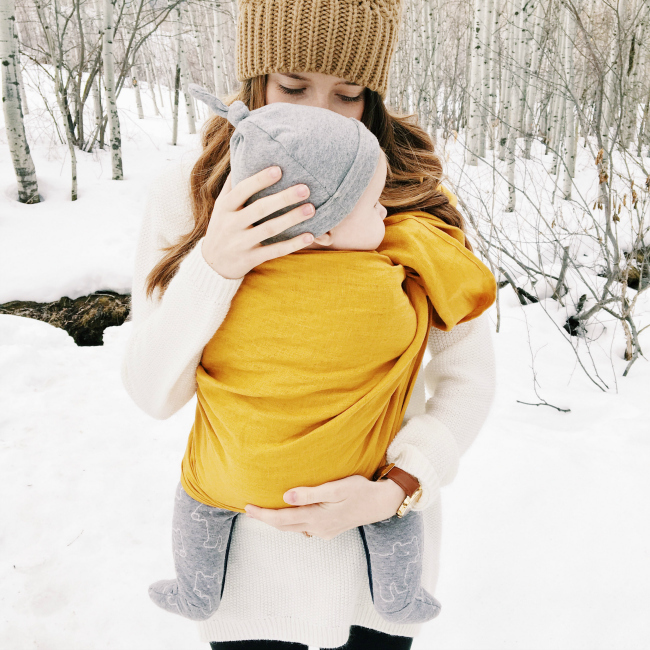 If you want to learn more about ring sling carriers and how they work you can check out My Wild Bird for awesome tutorials! 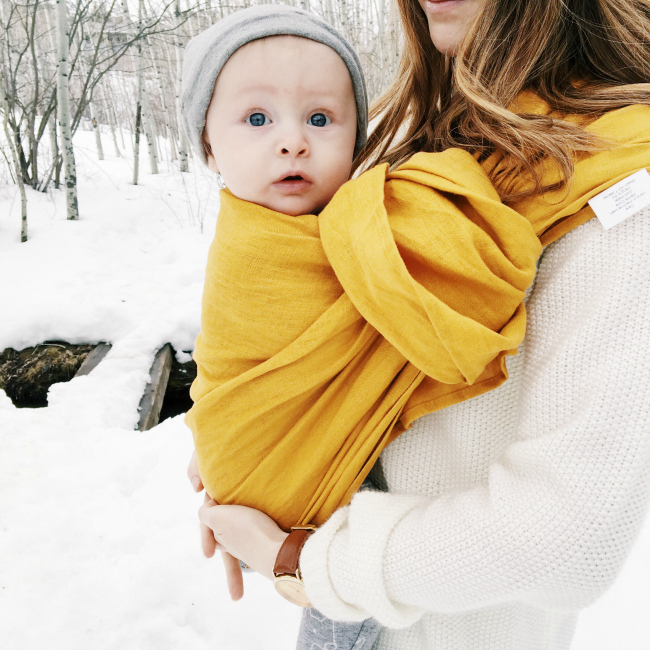 Baby wearing ring sling is awesome way to carry you child easily at any place you want. 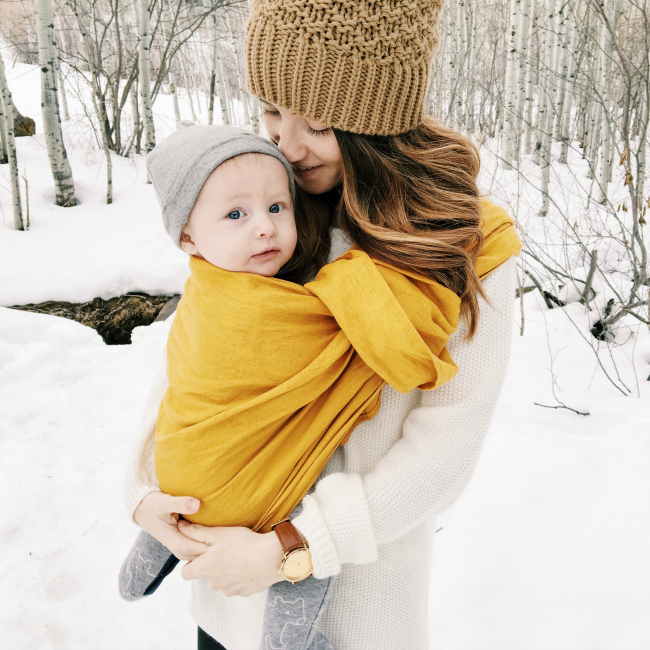 Looking to learn more about the hand made Baby wearing ring sling. To be honest, I am a pretty smart guy and I have been doing the vacation thing, first with my parents and then with my wife and kids, but until a few years ago, I never knew there was such a thing as a bed and breakfast or vacation home rental. I only become aware of these alternate types of vacation accommodations when I was in my early thirties - a decade ago. My husband planned a family vacation recently and hired a campervan to ensure comfort and safety. 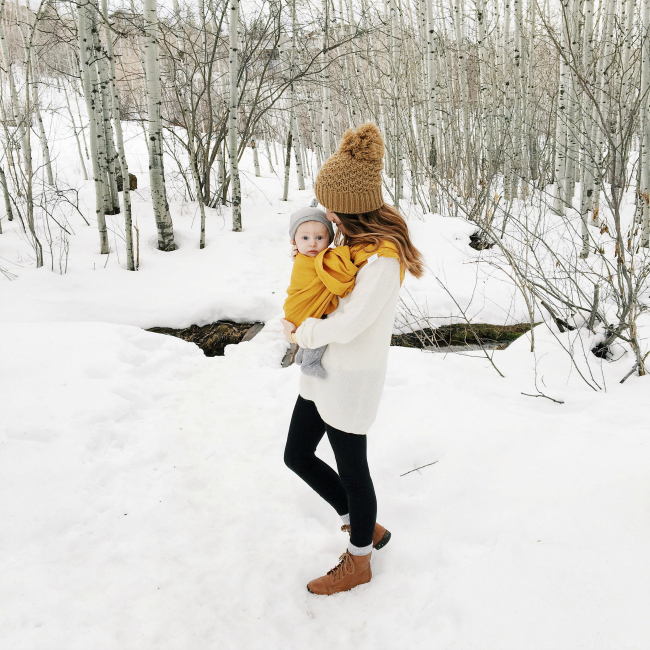 We bought the best baby carrier before starting the journey, which made it easier for us to carry my baby while having a stroll at the beautiful locations, and going out in markets.